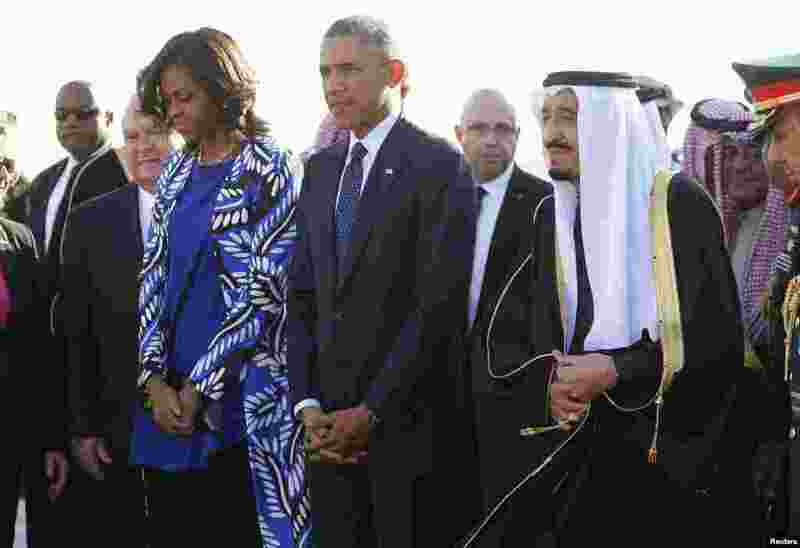 1 U.S. President Barack Obama and first lady Michelle Obama are greeted by Saudi Arabia's King Salman (R) as they arrive at King Khalid International Airport in Riyadh, Jan. 27, 2015. 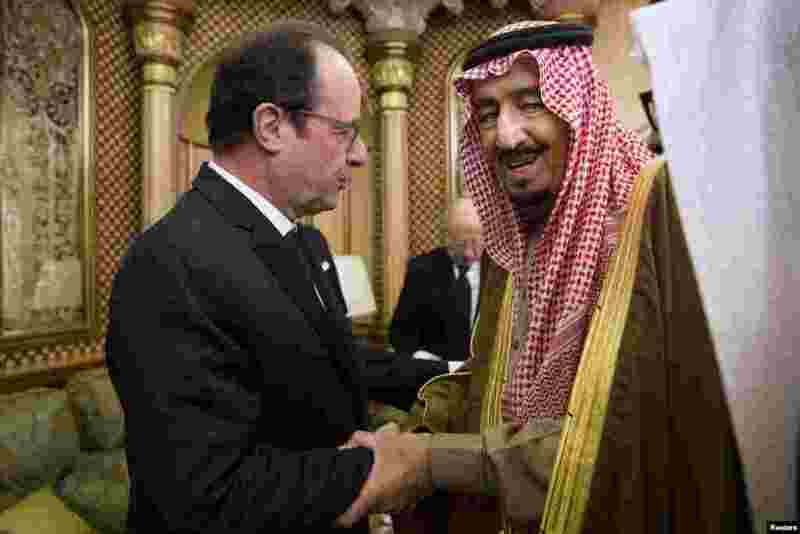 2 French President Francois Hollande offers condolences to Saudi King Salman following the death of Saudi King Abdullah, in Riyadh, Jan. 24, 2015. 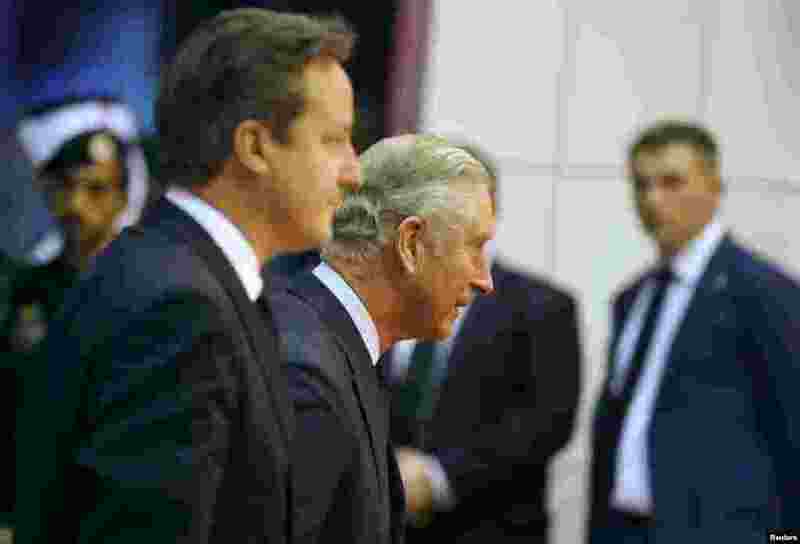 3 Britain's Prince Charles and Prime Minister David Cameron arrive to offer condolences following the death of Saudi King Abdullah in Riyadh, Jan. 24, 2015. 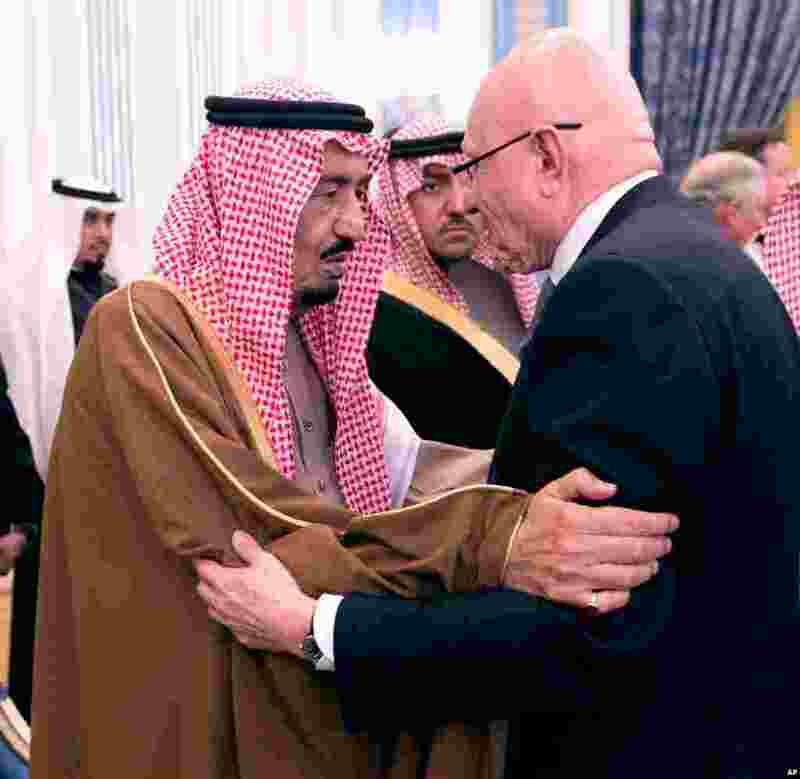 4 Lebanese Prime Minister Tammam Salam, right, gives his country's condolences for Saudi King Abdullah, who died early Friday at age 90, to the newly enthroned King Salman, in Riyadh, Saudi Arabia, Jan. 24, 2015.